Pumpkin decorating is one of my all-time favorite fall pasttimes. 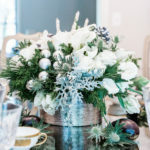 This edition of Weeken(DIY)ing features pumpkin-decorating ideas by Homey Oh My, aka THE expert on the subject. Follow her tips to transform the classic jack-o-lantern into a chic and modern décor piece. 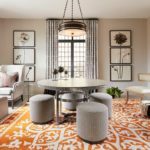 If orange is a little out of your palette, paint pumpkins in neutral tones to add an air of sophistication to your porch. 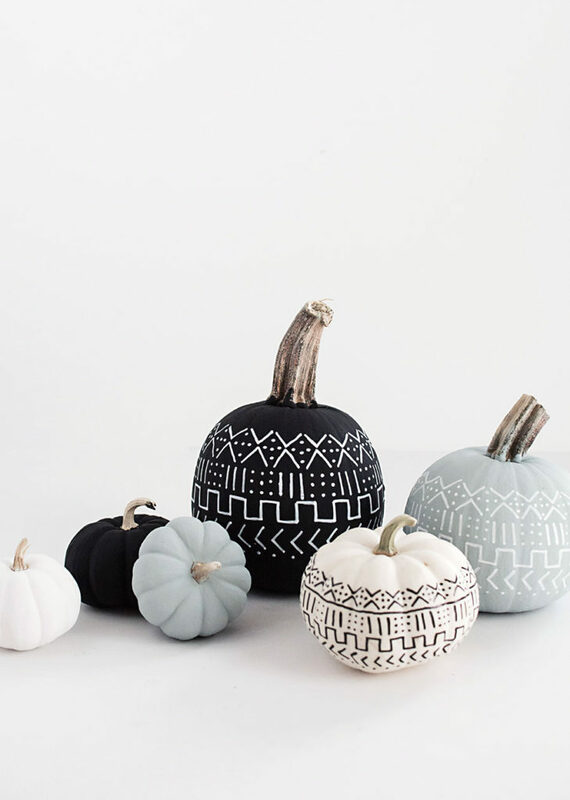 African-style Mud Cloth Pumpkins look like they’re wrapped in little sweaters, and are a beautiful spin on the traditional gourd embellishment. 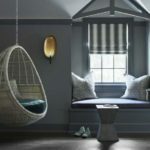 The best part: It only takes a bit of chalk and oil-based paint to create this unique look. 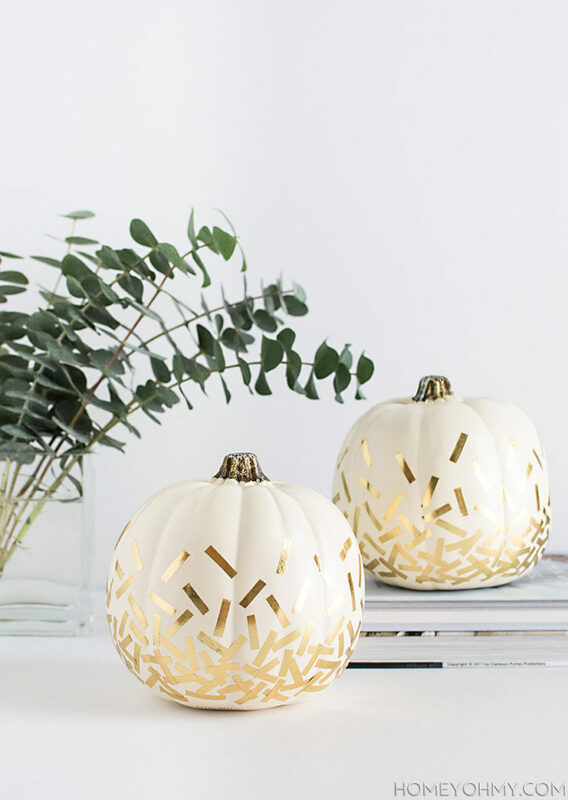 White pumpkins are an easy way to make a sleek and modern statement. With some gold washi tape, you can bring a bit of glamour to the yard as well. 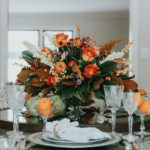 This Gold Confetti tutorial features craft pumpkins rather than their natural cousins, but they look every bit as fancy. While we’re on the subject of high-contrast style, there’s always the option of tapping into your Jackson Pollock side. For these paint-splattered pumpkins, Homey Oh My suggests practicing your flick technique on paper before you try it out on your favorite squash. 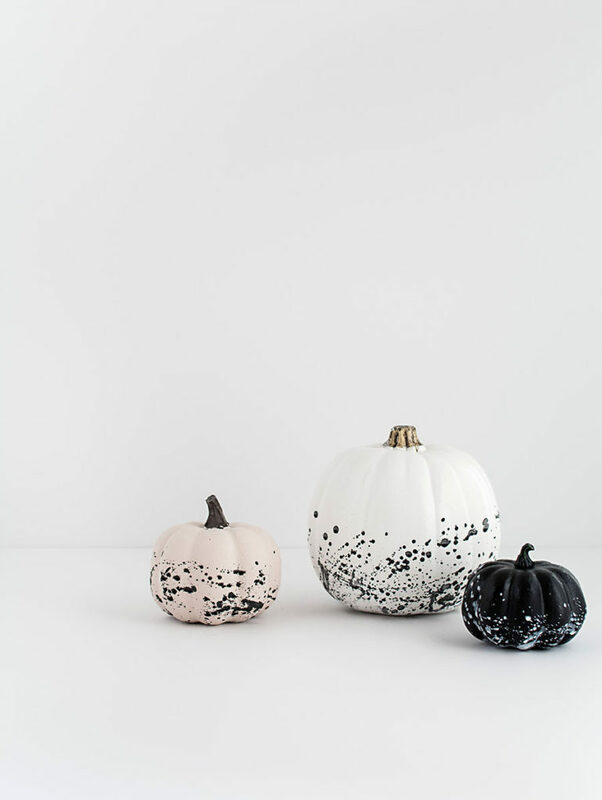 For an unexpected effect, try a white splatter on a pumpkin painted black.